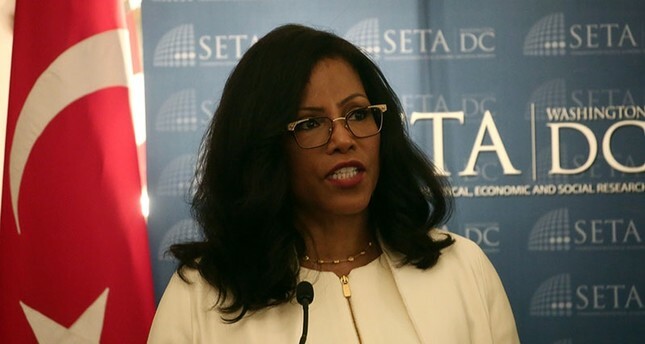 Ilyasah Shabazz, daughter of the late Muslim civil rights leader Malcolm X, said after meeting with President Recep Tayyip Erdoğan that the Turkish leader “represents” the legacy of her father. 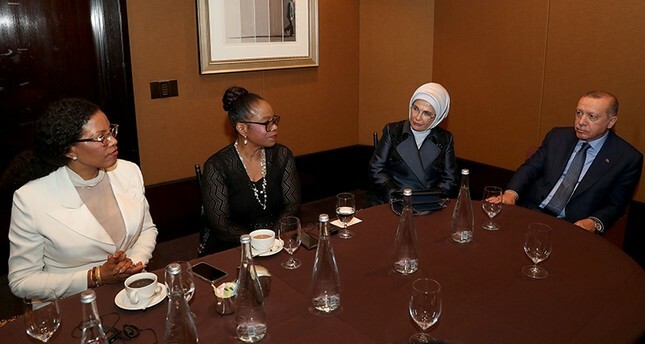 Shabazz and her sister Qubilah Shabazz met with Erdoğan, first lady Emine Erdoğan and their daughter Esra on Monday in New York, amid the president’s visit for the U.N. General Assembly session. “It was my great honor to meet with such a leader, especially in the name of human dignity, compassion and social justice,” Shabazz told an Anadolu Agency correspondent in New York after the meeting. Shabazz said the meeting with the Erdoğans was particularly meaningful because they “represent” the legacy of Malcolm X. “My father’s legacy points to the humanity of each individual. We are all brothers in the sight of Allah. Therefore, he doesn’t go on about religion, color, race. He talks about dividing the wrong from the right. When we see something wrong, we should to do something to change it,” she said. Shabazz praised Turkey’s humanitarian efforts, particularly the welcoming of millions of Syrian refugees, as an example to the rest of the world. Shabazz also attended a panel organized by the Turkish SETA Foundation in New York on Monday alongside first lady Erdoğan, who spoke about humanitarian aid and refugees at the event. Malcolm X is seen as one of the most influential African Americans who fought against racism in the United States. He encountered the sect “Nation of Islam” while serving a prison sentence in the 1940s, changing his name from Malcolm Little to Malcolm X. After his release, he went on a pilgrimage to Mecca and converted to Sunni Islam, adopting an egalitarian perspective that empowered him for the rest of his life. Malcolm X became a champion of civil rights and herald of the true Islam in American society. He visited Africa twice during his lifetime and delivered numerous speeches about the liberalization of black people as well as all oppressed people. He was killed by three armed attackers while he was giving a speech in New York on Feb. 21, 1965.